Keeping our customers equipment up & running is our #1 priority. Black Equipment has 9 full service facilities with more than 100 service technicians all focused on keeping our customers equipment up & in service. Black Equipment opened in 1956 & offers a wide variety of equipment for sale & for rent. We sell, service, & rent forklifts, construction equipment, aerial equipment, sweepers/scrubbers, personnel carriers, industrial batteries & chargers, as well as other specialized material handling equipment & warehouse supplies. We offer both new & used equipment from quality manufacturers including Yale, JCB, Genie, JLG, Cushman, Advance & more. Black Equipment also stocks & sells replacement parts for all makes & models of material handling & construction equipment. Black Equipment Co. services Southern Indiana, Southern Illinois & Western Kentucky with locations in Evansville, IN; Jasper, IN; Paducah, KY; Hopkinsville, KY & Mt. Vernon, IL. Black Equipment Co. South services Western Tennessee, Eastern Arkansas & Northern Mississippi with locations in Memphis, TN: Jackson TN; Jonesboro, AR. our newest location in Tupelo, MS.
More than 30,000 attendees and 2,000 suppliers are at PACK EXPO this week to experience the latest packaging technology innovations and address operational challenges from SKU proliferation to labor availability. 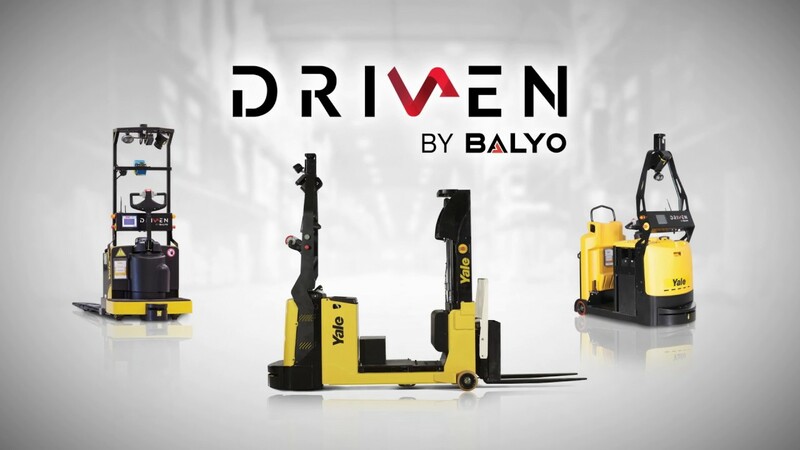 Automation takes center stage at booth 7379 in the upper south hall of the Las Vegas Convention Center, with Yale Materials Handling Corporation demonstrating its robotic end rider lift truck Driven by Balyo. 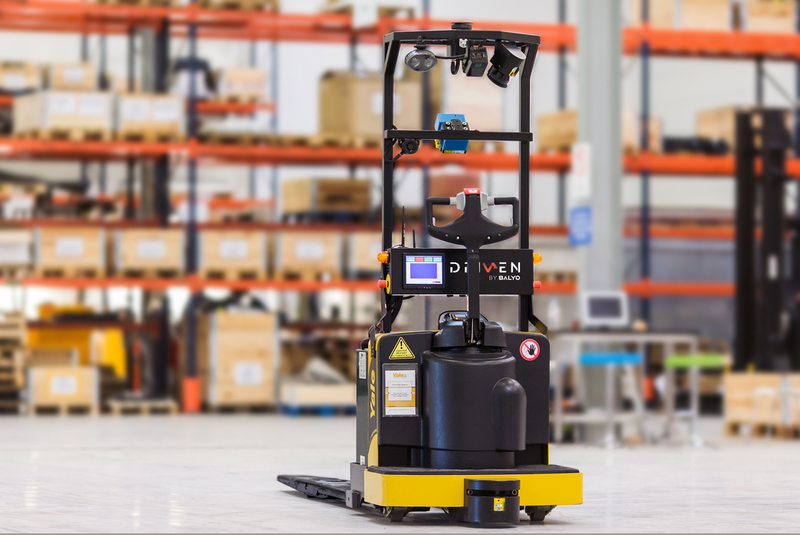 The MPE080-VG robotic lift truck automates a variety of repetitive load transportation tasks, which can improve labor productivity and free employees to take on more value-added roles. It picks up, transports and drops off pallets anywhere on the floor using infrastructure-free navigation technology to map and guide itself by recognizing existing structural features. Without the need for tape, wire or other additional infrastructure, the Yale® robotic end rider lift truck can easily and quickly adjust to changing layout configurations in the event of expansions, peaks or other business changes. It can also switch to manual mode with the touch of a button, offering additional flexibility to help operations adapt to unexpected demands. In addition to the MPE080-VG end rider, Yale offers two other robotic lift truck models with Driven by Balyo technology – the MO70T tow tractor and the MC10-15 counterbalanced stacker. The Balyo architecture can scale according to operational demands, offering the flexibility to manage a single truck or an entire fleet. An advanced obstacle detection feature controls truck speed and affords smooth, efficient movement, minimizing unnecessary stops and impacts to allow for up to 20,000 hours of use. Though popular movie and music awards have come and gone, this awards season is not quite over. Yale Materials Handling Corporation announces the recipients of its 23rd annual Dealer of Excellence Award, recognizing top performing dealers that have exhibited focused leadership and continuous commitment to customers. Since 1994, the Dealer of Excellence Program has served as a blueprint for successful Yale® dealers. Recognized dealers must meet a set of constantly updated performance criteria that set rigorous benchmarks to ensure alignment with evolving customer expectations and industry demands.